Inspiration hits. The light bulb goes on. You’ve got a passion, and you pursue it. You see a need, and you fill it. There’s a question, and you answer it. You have a purpose, and you fulfill it. 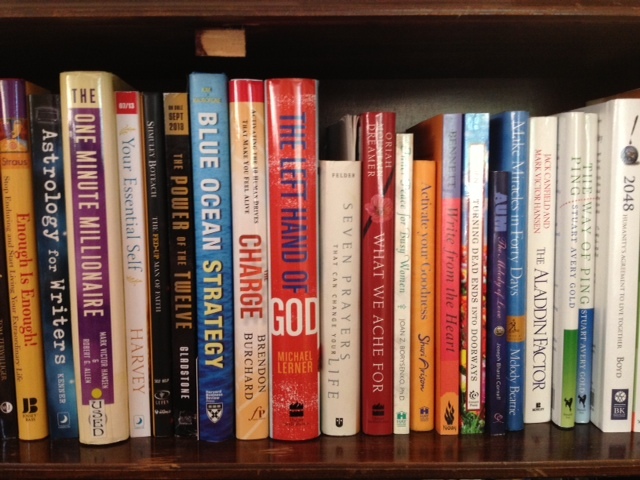 These all present great reasons to begin writing a nonfiction book. And most writers, when struck by a good idea and the desire to write, simply begin writing. However, an even better reason exists to take a bit of time before you beginning writing to evaluate your idea—at least if you want your book to be successful. Evaluate? I can hear you groaning. No one wants to evaluate anything, especially that book idea you are so psyched to write. If you simply want to write the book of your heart and you don’t care how many copies you sell, great. Go for it. If you want to write a successful book, meaning one that sells to lots of readers or to a traditional publisher and to lots of readers, however, it behooves you to take the time to consider if your idea is a good one by industry standards rather than just by your own standards. To do this, I suggest you discover nine things about your book idea before you write a word. These nine indicators are used by literary agents and publishers to determine the viability of a book idea. Once you have this information, you’ll know if your book has a chance of success. You’d be amazed at how many writers cannot tell you in 50 words or less, or in 30 seconds or less, what their book is about. They also may not be able to list the benefits their book will provide to readers. Before beginning to write your nonfiction book, hone your topic and its angle. Figure out why someone would want to read your book rather than someone else’s book on the same topic. Write a pitch or elevator speech, a short statement that describes the essence of your book, and follow it with some bulleted points—the added value readers will take away from its pages. Think of this exercise like writing back cover copy. What might you say or write about your book that would make someone carry it to the register? Make sure you know your average reader—that one person you are writing for—as well as the size of your book’s market. Who wants to read your book, and where do you find them? How many of these people exist in the world? Are there enough of them to justify writing your book? This market research tells you if anyone is out there to read (buy) your book and helps you know for whom who you are writing. 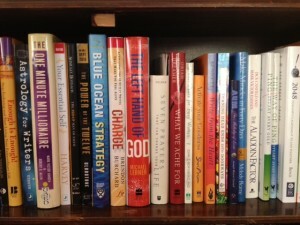 Make sure the book you plan on adding to the mix is not only unique compared to the other books in your niche or category but also necessary before you add one more title to the staggering number of books in print. Take a good hard look at what other authors have already written and published. Is what you want to write different—different enough to make someone purchase your book rather than an established title or a book by an established author? And is there a need for another book on the subject? If no books have been written on the subject, why? Is there a need for even one book on the topic? Sometimes writers think they have enough material for a book when really they only have enough for an article, or a couple of articles. Or they think they know what content they are going to include in the book, but when they finish the first draft, they discover they produced a manuscript that is scattered, rambling, misses the point, or leaves out essential information. Avoid these problems by mapping out your content first. Actually do a mind mapping exercise, which entails brainstorming while creating a large diagram of all your possible content and then organizing all these ideas into a table of contents or an outline. When you are done with this process you’ll know if you have enough content to fill a book, and you’ll know what content you plan to include in the pages of that book. Bring your book to life with a short synopsis for each chapter. This accomplishes two things. First, when you couple this chapter-by-chapter synopsis with your table of contents, your pitch and list of benefits, you will have the best writing guide possible. Second, when you have finished the synopsis of all your chapters, and you have completed the previous four steps, you will suddenly have a clear picture of your book and feel ready to write your book. Why? Because it will seem real to you. If you can see it and it seems real, if your idea stood up to all the prior steps, it’s likely a viable book. Whether you self-publish or land a traditional publishing deal, you will need to promote your book. And promotion does not begin after the book lands in your hands as a finished product. It begins the moment that light bulb goes off in your head. Spend some time considering all the options you have to build awareness for yourself and your book as you begin the writing process as well as after you launch the book. Most nonfiction books are written by experts. Decide if you are the expert on your topic, how you will become the expert, or if you might need to bring in other experts (maybe a co-author, contributors or experts to interview). Also, does writing this book fulfill a sense of mission for you? If so, you might want to consider how to get that message across in the book and in your promotional efforts. Plus, in this step, it’s important to ask yourself if you have what’s called an “author’s platform.” Do you have a fan base or a large, loyal following of people who know you in relationship to the topic about which you plan to write? If not, you need to consider how you will begin building that built-in readership for your book. The more books you write, the more books you sell. That’s why it’s a good idea to spend a moment brainstorming other “spin-off” books on your topic. This is especially important if you want to create a business around your book or attract a traditional publisher. As an expert author, if you have more books, you can create more products and services to sell to readers. And publishers like to take on multiple-book authors. At this point, if you decided your book is marketable and has a chance of succeeding, you can begin writing your book—with one caveat. You need to know what publishing route you plan to take. If you plan on self-publishing, you can go ahead and write the whole book. If you plan on approaching traditional publishers, you only need to write 25-30 pages, or about two chapters, but you also need to write a book proposal, which includes all the information you just compiled. You then will submit the proposal to agents and publishers. Armed with this information, you can make some important decisions about your nonfiction book idea. Assuming you discovered your idea is a viable one, you’re ready to take action on your inspiration. Turn your idea into a successful book. If you discover your idea is not marketable, you can rework it, go through this process again, and then, if it measures up, go ahead and begin writing. If you would like to to learn more about evaluating your book for success, consider enrolling in Author Training 101 or signing up for Author Coaching. And watch for The Author’s Training Manual, which will be released by Writer’s Digest Books in February 2014. A much more in-depth explanation of the “Author Training Process,” can be found there as well as in Author Training 101. « Writing Prompt: Write or Modify Your List of Personal Interests.